"Word got out in the early 90s that the basement of the original Masque club was totally intact and untouched after all these years. So Dez Cadena and I broke in and took a bunch of photos. 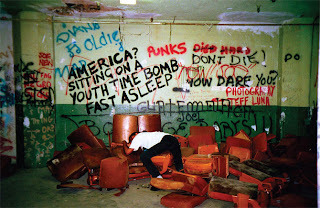 We felt like we were raiding King Tut’s tomb—it was like an archaeological dig into LA punk history"
incríveis essas fotos, bem bacana a matéria!